U.S. Attorney General Eric Holder Jr. gets his fair share of grief inside the Beltway, particularly from Republicans on the Senate Judiciary Committee. But some of that grief on Friday came from elsewhere: the heartland. 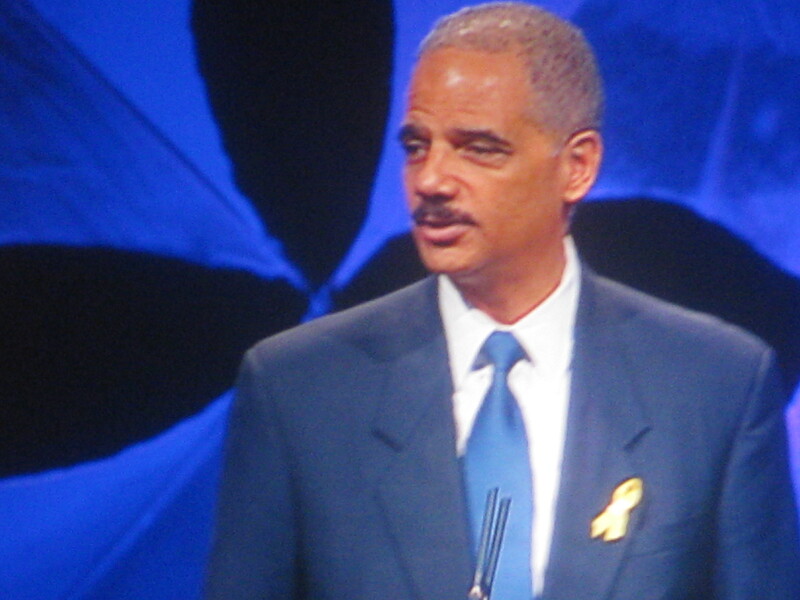 Minnesota Public Radio reported that Holder’s speech in Minneapolis at a conference on preventing youth violence was interrupted several times by protesters who say the FBI, under Holder’s reign, has expanded surveillance on Arabs and Muslims and targeted peace groups. The Star-Tribune reported that several protesters were led out of the morning speech after repeatedly standing to shout. Another 50 or so stood outside banging on drums and chanting for the FBI to stop violating First Amendment rights of people. One of the protesters, Tracy Molm, told MPR that after the speech she spoke to Holder, who said they would have to agree to disagree on what activities are protected by the First Amendment, MPR reported. “He can disagree all he wants, but people around the country believe these attacks need to end because they’re killing our free speech rights, our ability to question our government, and our ability to speak out,” Molm said, according to MPR. Posted: 5/28/11 at 12:02 AM under FBI, News Story.